The titans of Rotary in Thailand, (l-r) Past District Governor Dr. Supavat Poovakul, PDG Nopadol Arnontavilas, Past Rotary International President Bhichai Rattakul, District Governor Waewdao Limlenglert, (2009-10) PDG Vivat Sirijangkapattana, PDG Suthep Nimpitakpong and President Rome Chiranukrom of Rotary Club of Chiang Mai. The Rotary Club of Chiang Mai, District 3360, Rotary International hosted its grand 50th Anniversary Celebration on October 17 at the International Conference Hall, Empress Hotel in Chiang Mai. 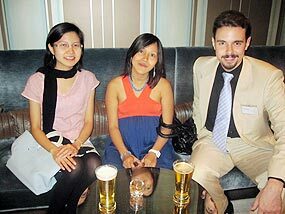 The grand party was attended by all Chiang Mai based Rotary Clubs as well as national and international clubs. The Rotary Club of Chiang Mai members were divided into two groups, one group led by Surasak Prugsiganont and the other led by President-Elect Una Schneider and Pullop Lasuka and then were on hand to welcome guests. About 1,320 Rotarian guests were invited to take part in the event, in addition to enjoying golf, tours of the city, and visits to Rotary Club projects led by Jiraporn Harding, and President-Eelect Una Schneider. Elephant rides in Mae Sapok, visits to the Day Care Center, and golfing were all organized by Niphon Luxtanakul and Charuwat Techawut. The Deputy Governor of Chiang Mai, Chumporn Saengmanee gave the welcoming speech at the party which took place at the Empress Hotel. He warmly welcomed all the Rotarians, calling out to the local organizations, those from the entire Northern region, other regions and visiting Rotarian representatives from Japan, Taiwan and Australia who attended the event. “Chiang Mai province is honored to welcome all of you as visitors and we would like to persuade you to take time to tour our beautiful city, visit Lhin Ping, the baby panda, take advantage of the outstanding golfing, we hope you will feel like Chiang Mai is your second home. 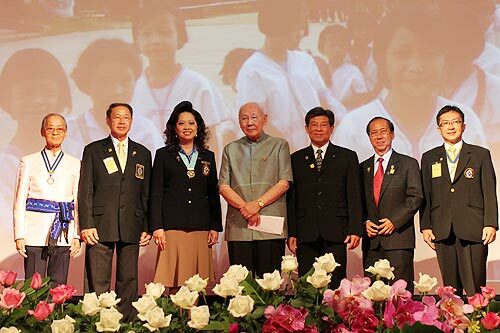 “50 years ago the Rotary Club of Chiang Mai was established as a volunteer organization by Pol. Col Nuang Rayanak, the former provincial governor of Chiang Mai and it continues its mission of helping people in the community. “This admirable organization’s motto is ‘Service Above Self’ and its members have shown, from one generation to the next, through their volunteerism and charity works, that they guide their principles by this belief. They have shown that there is devotion to helping those less fortunate than themselves through social projects and developing human resources,” he continued. Rotary Club of Chiang Mai President Rome Chiranukrom noted that “I’m honestly proud to be the president of theRotary Club of Chiang Mai in this, our 50th anniversary year. 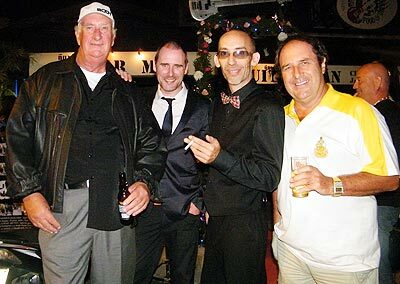 Our club is a strong club because our club members consist of professionals from different backgrounds. We are still dedicated to helping our society and community, following the policy of Rotary Club of “Service Above Self”. “We truly believe that everyone here will continue in carrying on the Rotary Club’s policy and ideals,” he said. Rotary International’s Past President Bhichai Rattakul said that he was proud to see the Club reach it’s 50th year. Comparing the life of the club to a human, he said, man starts strong and works hard but grows old and weakens. The organization, on the other hand, is different, gaining strength and wisdom as it ages. The Rotary Club of Chiang Mai shares the same goals and objectives of devotion to community and society with the more than 33,800 clubs across 200 nations. Over the past 50 years, members have been active in projects in Chiang Mai to help raise the qualify of life of residents and to provide them with hope for the future. He added that “during the past 50 years there have been successes and disappointments, but keeping hope and not becoming discouraged we have not given up, as we should not forget the devotion of the original founders of the club; Dr Aree Saengsawangwattana, Dr Jinda Singhanetre. Lastly he hoped that the Rotary Club of Chiang Mai would find itself, rather than growing old as man does but growing up, as child, maintaining relevance and interest for the younger generations so that they will want to join in helping to better the world around them. “The world is in your hands,” he concluded. Dr. Supavat Poovakul, a senior member of the Rotary Club of Chiang Mai remarked to members that “the Rotary Club of Chiang Mai was established by the Rotary Club of Bangkok 50 years ago. and at the beginning, the Club given a hand by then President Bichai Rattakul who brought in his organization’s members to help the Rotary Club of Chiang Mai recruit further members. “40 years ago, when I was first became a member we served society and helped others establish the new clubs of about 17 clubs. This is the great honour of the Rotary Club Chiang Mai,” he said. Dr. Supavat added that “Service above self stressed the importance of working both in the country and abroad for helping poor people and giving public service to help people to live happily in the community by helping to raise their living standards,” he said, adding that “this is ours ideology”. Dr. Virachai Jamroendararasame, District 3360 Governor Elect, Rotary International added “we as Rotarians must understand that the duty of Rotary members is to help to live together and understand each other. We believed our social projects will continue to serve the community’s needs around the world and this is hoped to help our mission be achieved at last. Meanwhile, most of the Rotarian realize that helping those suffering and in need of help is the true goal to achieving happiness and that it benefits not only the recipient but the giver as well. “It gives our lives much more meaning”one member commented. The first Rotary Club was established in Chicago in 1905 the Rotary Club of Chicago was established by 4 men who proposed bring together business and professional leaders to provide humanitarian service, encourage high ethical standards in all vocations, and to help build goodwill and peace in the world. 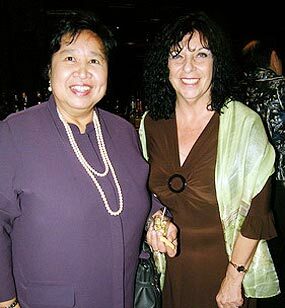 “Now we have 33,000 Rotary Clubs around the world with more than 1.2 million members. Our ideology is “service above self” and the Rotary International is the first world’s organization that is doing and bringing in more benefits to society or community,” Dr. Virachai concluded at the closing ceremony. in commemoration of the club’s 50th anniversary. 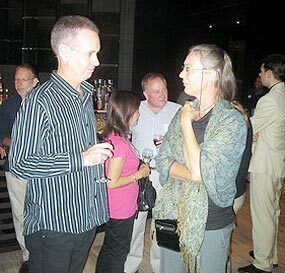 The Networking One event at the Shangri-La Hotel on Thursday, December 3, was another interesting affair showing the diversity of expats and Thais doing business in Chiang Mai. It was a well attended event, with food, wine and beer, and the monthly raffle to give a free bottle of wine to one of the attendees. Peter Smith, Director of AA Insurance Brokers welcomes guests to the Networking One meeting on December 3. Scott Jones, author of “Life in the Laugh Lane” discussed his upcoming Toy Ride event, and encouraged attendees to join in. The Toy Ride, a motorcycle ride to raise money to buy toys, supplies and playground equipment for local schools, orphanages and under privileged children, is scheduled for February 21, 2010. Scott encouraged local businesses to sponsor the event and local riders to sign up for this popular charity ride. Mary Johnson, winner of the bottle of wine from Peter Smith of AA Insurance, announced that her new gelato shop, Ice Chic, plans to have its grand opening on December 18. A new gourmet ice cream parlour just in time for the Christmas and New Year season will be a boon for residents and tourists alike. Eric Lynn of LCT Consulting was glad to hear that pistachio ice cream will be on offer. 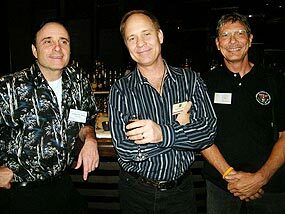 (L-R) Lawrence Sone , English Teacher and Tutor enjoys the event with Sean P. Riley of Tiki Thai Arts and Scott Jones, Chairman of Give and Live (nonprofit corporation). Neinke Parma of Lucky Dogs joined the event and chatted with Barry Main, marketing director for ThaiVisa.com about her dog boarding and training business. 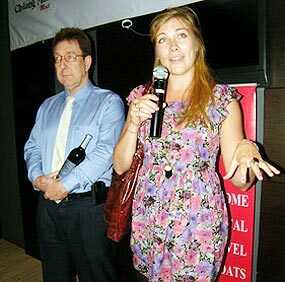 They were joined by Shana Kongmun of the Chiang Mai Mail and Eric Lynn of LCT Consultants, who talked about team building and management ideas for the newspaper as well as a recent night out at the North Gate Jazz Co-Op for their popular open mike night on Tuesday nights. 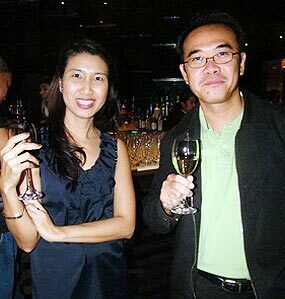 (L-R) Natcha Theerasuwipahakorn and Plaifah Meade, Sales & Marketing Director of Cape North Distribution Ltd. Part. talks with Darryl Crist , Business Manager of Movaci Co.Ltd. Rudy and Ralph Van Der Berg of Horeca Supply said that they now offer retail services as well as providing delivery of food, wine and import beer. They added that they had an excellent Thanksgiving, supplying quite a lot of turkeys and ham to many of the major hotel chains. They are looking forward to a good high tourist season, seeing a pick up in orders for food and alcohol. Golden Whitehead, food and beverage manager for the Shangri-La agreed, noting that the hotel was expected to have full capacity over the holiday weekend. Christopher Mosby of Movaci Technology discussed his company mentioning that they are specialists in supplying secure communications technology to businesses and non-governmental organizations (NGOs) in Europe, the United States and in South East Asia. 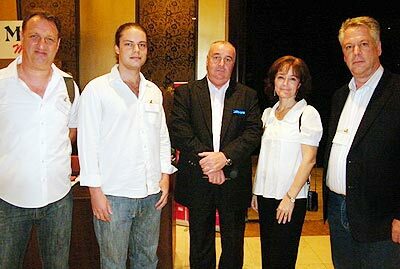 The business is based in Chiang Mai and while global, hopes to expand its presence in the region. The event was visited by a couple of Payap University students studying IT and communications who were thrilled to hear of a few places that locals could recommend to watch Arsenal play. 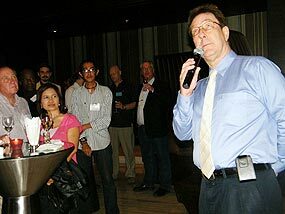 Peter Smith announced that the next Networking One event will be held on January 14 instead of the first Thursday of the month as usual and urged guests to be sure to put it on their calendars. To sign up for the networking one newsletter, please contact [email protected] or visit their website: http://www.networkingone.com. Peter Smith, Director of AA Insurance Brokers draws the winning business card, that of Mary Johnson, Managing Director of Ice Chic Co. Ltd.
(L-R) Mary Johnson, Managing Director of Ice Chic Co.Ltd with Ralph Van den Berg of Horeca Supply Co. Ltd and Gary Newitt, Director of Mr. Moo Co. Ltd.
(L-R) Barry Main, Marketing Director of Thaivisa.com talks dogs with Nienke Parma, Owner of Lucky Dogs. 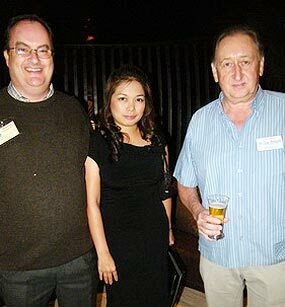 (L-R) Pedr and Beer Fawkes of Olde Bell British Pub & Restaurant with David Walker of Asia Property. and Phillip Johnson, Consultant for Infocus 4 You Magazine. 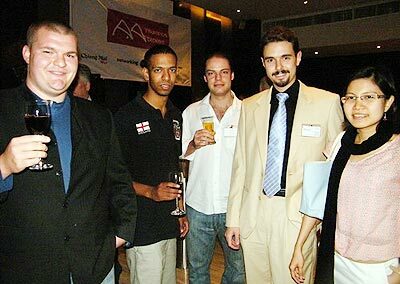 (L-R) Frank Bollen, Creative Director of To Be Frank, with Ralph Van den Berg Horeca Supply Co.Ltd., Gary Newitt, Director of Mr. Moo Co. Ltd., Shana Kongmun, Managing Editor Chiang Mai Mail and Rudy Van den Berg of Horeca Supply Co.Ltd. 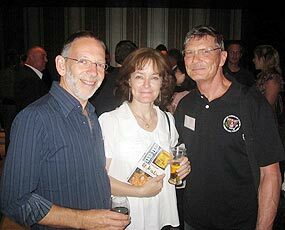 at the Networking One meeting on December 3. (L-R) Kendell Meade, Graphic Designer for Cape North Distribution Ltd.
of Horeca Supply Co. Ltd., Darryl Crist, Business Manager of Movaci Co.Ltd. 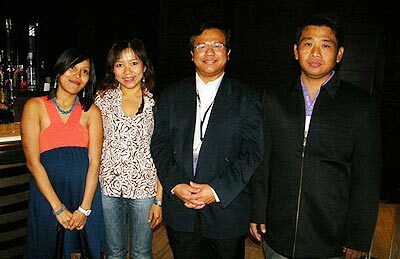 (L-R) Plaifah Meade, Sales & Marketing Director of Cape North Distribution Ltd.Part., Rawiwan Yoojumnong, Editor of Gazip Variety Magazine with Phitsanu Thepthong, Editor of Chiang Mai Mail and Niran Suji, CMM distributions. 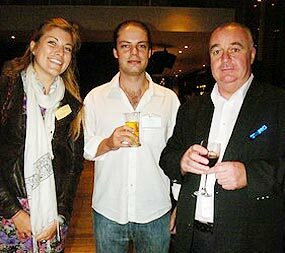 with owner Nicky Scott and Alan Puzey. Guitarman, the well known pub and restaurant on Charoenprathet Road held a mini concert on November 27 to celebrate the first Chiang Mai screening of “Guitarman, the Movie” which features the pub owned by Nicky Scott. 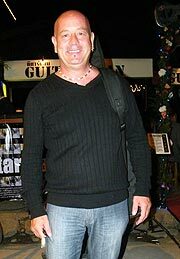 Toni Putrino, a German musician who was one of the featured acts in the film. 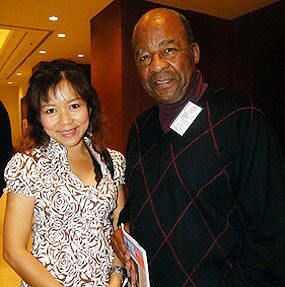 The live concert series is interspersed with commentary from Joe Cummings, well known author and performer. Performances and interviews from some of Guitarman’s regular acts are highlighted in the 30 minute movie which takes you on a lighthearted trip through one of Chiang Mai’s more venerable rock and blues institutions. 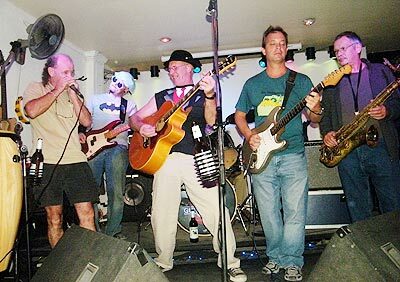 Boy Blues, Richie Castro, Tony Putrino and Aussie John, along with a guest appearance by globe-trotting New Orleans accordionist Eddie Baytos are featured in the film. 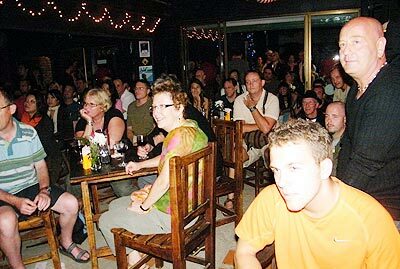 A buffet and concert at the venue to celebrate drew in crowds of residents and tourists alike. Live performance to a packed crowd. at the Guitarman in celebration of the screening of the movie.